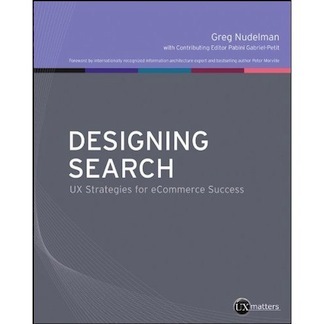 I'm excited to learn that Designing Search by Greg Nudelman is now publicly available. It's a brilliant book that overflows with illustrations and insights. After reading all four books, you'll have a real appreciation for just how much you still don't know about search. Welcome to the club! I am honored and humbled indeed for my book to be named in such an august company! Thank you again Peter for the kudos and the awesome Foreword.